Welfare State Futures: Our Children's Europe – Examining the aspirations, assumptions and priorities of ordinary people about the future development of welfare in Europe. Examining the aspirations, assumptions and priorities of ordinary people about the future development of welfare in Europe. The recently published working paper by Tijs Laenen, Federica Rossetti and Wim van Oorschot emphasises the relevance of using qualitative research methods in order to better understand how ordinary citizens use the five criteria of welfare deservingness. 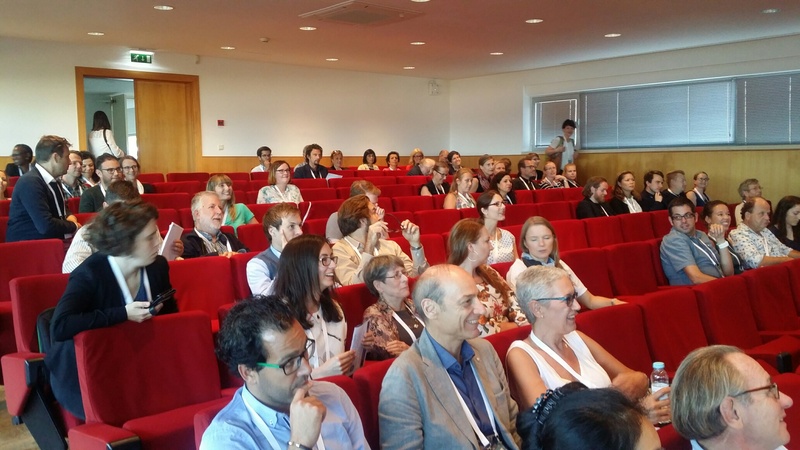 Analysing the WelfSOC focus group discussions in Denmark, Germany and the United Kingdom, the authors find the centrality of the criteria of control, reciprocity and need. While the criteria of attitude and identity were not widely used, further normative criteria were identified such as equality/universalism, cost awareness and social investment, which were raised and viewed relevant in the debates. Comparing focus groups in these three countries, authors suggest that the institutional context influences how participants use these specific criteria and how important these criteria are for them when discussing deservingness of specific target groups. Modern welfare states depend on a range of actors: state, market, family/households, employers and charities. Current austerity programmes diminish the contribution of the state and enhance that of the other actors. This is a major shift which demands popular support if it is to succeed, but attitude studies focus almost entirely on people’s views on state responsibilities, using welfare regime theory to explain differences. Our research examines attitudes to other providers such as the market, the family or employers. We also introduce social risk theories, contrasting new and old risks. Regime theory implies differences will persist over time, but risk theory suggests that growing similarities in certain risks may tend to promote international convergence. Our new article “Regimes, Social Risks and the Welfare Mix: Unpacking Attitudes to Pensions and Childcare in Germany and the UK through Deliberative Forums” published in the Journal of Social Policy, analyses attitudes to the roles of state, market, family, charity/community and employer for pension and childcare in Germany and the UK. We collected data using deliberative forums, a new method in social policy research that allows citizens space to pursue extended lightly moderated discussion and permits researchers to analyse people’s justifications for their attitudes. We show that there is a degree of convergence in attitudes, especially in relation to the new social risk area of childcare, but that regime predominates in people’s justifications for their attitudes. Despite austerity and all the pressures to which European welfare states are exposed regime differences in attitudes remain resilient. 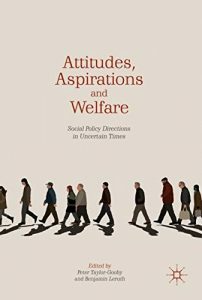 This book uses new research in five European countries to show that most people recognize growing inequality, population ageing, paying for health care and pensions, social care and immigration as areas where the welfare state faces real challenges. The most striking findings are the high level of support across all countries for social investment, and the way justifications for interventions in training, education and childcare policies vary between welfare state regimes. The authors also explore key areas such as intergenerational difference and job insecurity. The book summarizes and builds on the key findings from the three year Our Children’s Europe project, part of the Norface Welfare State Futures programme. We study what people want from the welfare state and the policies they think likely to achieve it using democratic forums. The forum method yields new insights into how people frame social issues and link ideas together, the priorities they identify and the solutions they find acceptable. This is the first time democratic forums have been used as a research tool in this field. The brief summary of the findings is accessible here. More information on the papers presented is included under “Our publications” and “Events”. Peter Taylor-Gooby gave a Public Lecture, sponsored by Trinity College Dublin, the Irish Social Policy Association and the Department of Employment Affairs and Social Protection on ‘The Moral Economy of Welfare – the UK in a European Context’ at the Mansion House Dublin on 26 April 2018. The meeting was chaired by Terry Corcoran from the Department of Employment Affairs and Social Protection and the discussant was Rory O’Donnell, Director of the National Economic and Social Council. The paper analysed material from the democratic forums of the NORFACE ‘Our Children’s Europe’ project. 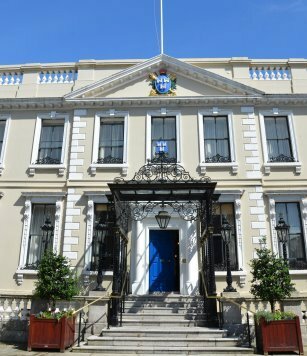 The meeting discussed how Ireland had looked to the UK for leadership in social affairs and how this leadership seems to be in decline. 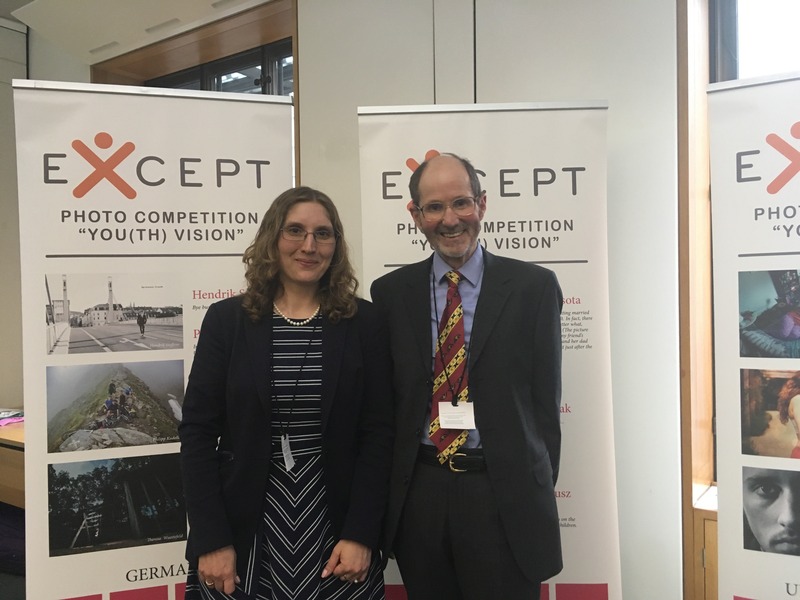 Peter Taylor-Gooby gave the keynote at the Except project conference, introduced by Rosie Duffield MP, at the House of Commons on 25 April 2018. 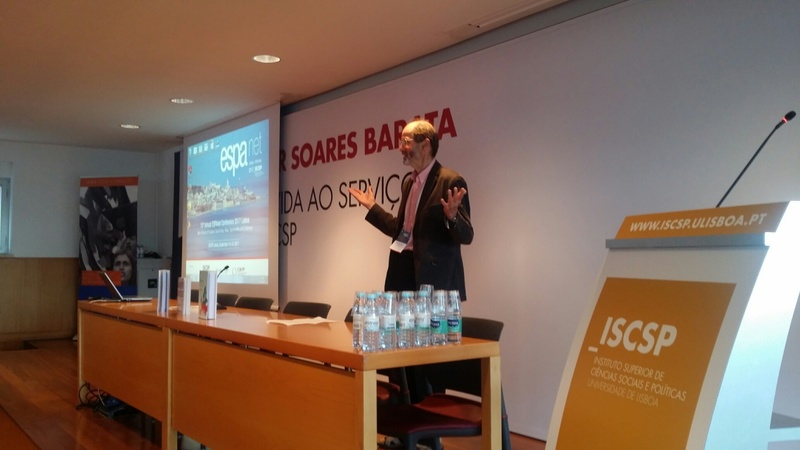 He presented WelfSoc findings that show strong public support for social investment. He argued that a major social investment in young people – training, education, access to housing, cheap childcare – is essential, if Britain is to succeed in the future. In a recently published article on The Conversation, Peter Taylor-Gooby and Benjamin Leruth discuss the issue of trust between citizens and government in the United Kingdom. 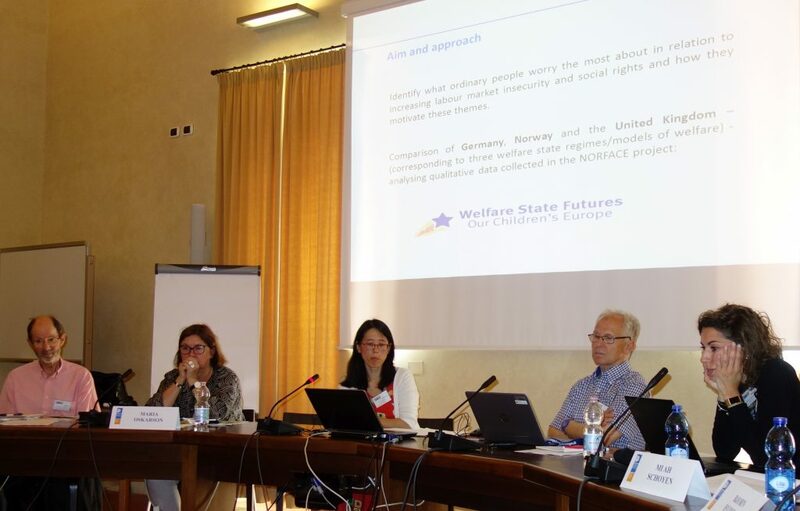 They use data from the Welfare State Futures Our Childrens’ Europe research project which uses innovative democratic forums. Out of the five countries – Denmark, Germany, Norway, Slovenia and UK – involved in the research, mistrust in the government was the most significant in the UK. The discussions on the future of welfare states revealed that the British democratic forum participants were not confident about government’s capacities to deal with the challenges faced by the welfare state. They see the government as wasteful of public money, and believe that public services are unsustainable. 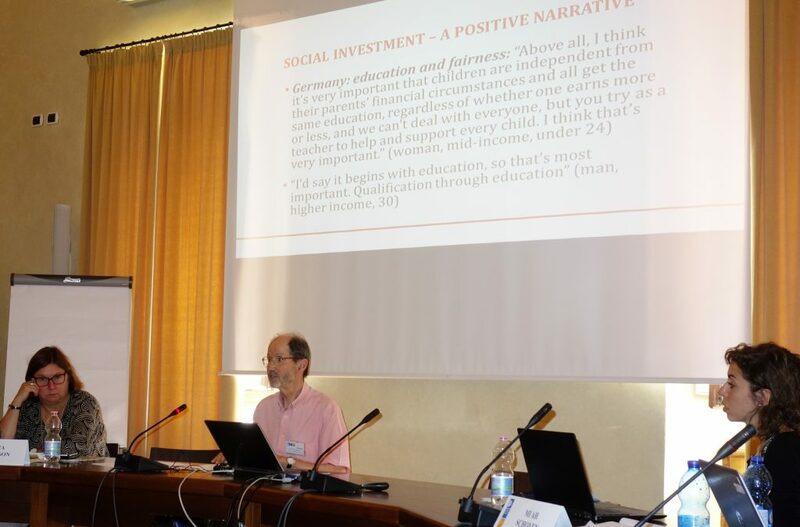 As participants expressed the need and firm preference for better childcare services and training opportunities, the authors suggest that social investment in social provisions and putting emphasis on the positive contributions of social services might help to rebuild the trust in government. This will be particularly important as the UK faces the challenge of leaving the European Union. 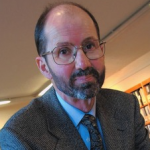 Peter Taylor-Gooby presented a paper to the ‘The Politics of Austerity in the UK’ Symposium‘, chaired by Christopher Hood and Rozana Himaz, at St Cross College Oxford on 4 October. He argued that popular discussion of the welfare state in the UK is characterised by a ‘Reluctant Individualist’ framing. This stresses the incompetence of government, demonstrated by policies that promote mass immigration (seen, counterfactually, as a burden on social provision), divert resources to the workshy on benefits, mismanage state spending and impose high taxes on those who work for their money. The government fails to provide opportunities for those who are prepared to work hard, thus exacerbating inequalities and unfairness. The outcome is that many people see their future life chances as shaped by their own efforts with little welfare state support. This individualism is reluctant: they would prefer a strong and effective welfare state, but think that the government is not capable of providing it. Participants, including John Hills and Jonathan Bradshaw, saw this current of ideas as providing a powerful explanation of the toleration of damaging welfare state cuts that is evident in contemporary politics. The launch of the first WelfSoc book: After Austerity​ at an evening reception was great success with many people expressing interest in the new ideas about what governments can and can’t be expected to do for their citizens in the future. European welfare states are undergoing profound change, driven by globalization, technical changes, and population ageing. More immediately, the aftermath of the Great Recession and unprecedented levels of immigration have imposed additional pressures. 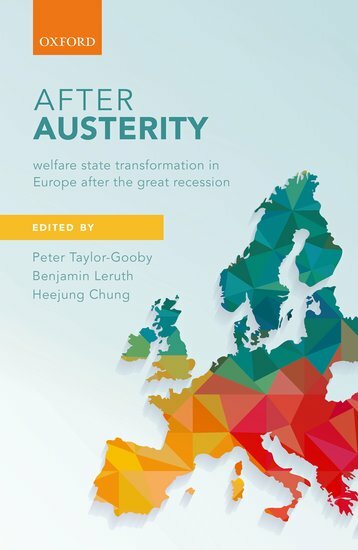 This book examines welfare state transformations across a representative range of European countries and at the EU level, and considers likely new directions in social policy. It reviews the dominant neo-liberal austerity response and discusses social investment, fightback, welfare chauvinism, and protectionism. The class solidarities and cleavages that shaped the development of welfare states are no longer powerful. Tensions surrounding divisions between old and young, women and men, immigrants and denizens, and between the winners in a new, more competitive, world and those who feel left behind are becoming steadily more important. European countries have entered a period of political instability and this is reflected in policy directions. Austerity predominates nearly everywhere, but patterns of social investment, protectionism, neo-Keynesian intervention, and fightback vary between countries. This up-to-date study identifies areas of convergence and difference in European welfare state futures – essential reading to grasp the pace and directions of change. On 22 June 2017, the German WelfSOC team presented their findings at the meeting of the Section of Social Policy in the German Sociological Association (DGS). The event was held under the theme of ‘fears in the welfare state’. In their presentation, the members of the German team, Jan-Ocko Heuer and Steffen Mau focused on fears among the German population regarding immigration and the integration of refugees into the welfare system. Based on data from the WelfSOC democratic forums in Germany, they demonstrated the broad range of worries and concerns within the population. These included worries about economic competition and cultural differences, but also indirect concerns about negative reactions in the population that could strengthen right-wing populism. They also showed how the articulation of fears was shaped by socio-economic characteristics, group composition and the dynamics of discourses. The findings were well received among the audience of academics, policymakers and practitioners. 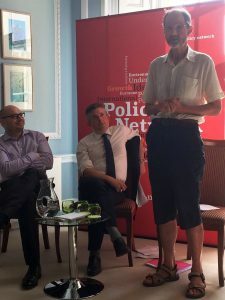 Peter Taylor-Gooby presented his Norface research at the Policy Network ‘Progressive Britain’ conference held on 21 June, to an audience of politicians, journalists and academics. Using material from the Democratic Forums which form the central part of the project, he argued that the challenge for the left is to build trust among older voters as Corbyn has among the young and pointed to some of the policies which might achieve this. 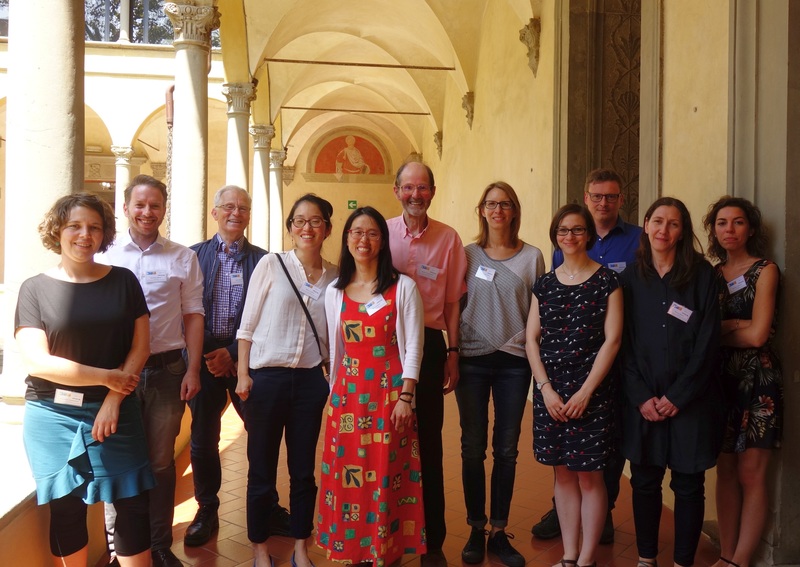 The research team met in Ljubljana on June 8 and 9 to talk about work. Our first book After Austerity will be published by Oxford University Press on 11 August 2017. We’re working on the second book, which will discuss our research using innovative Democratic Forums in detail. 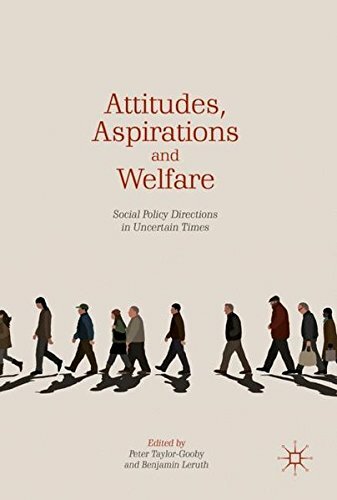 The work shows how this approach contributes a much more detailed and nuanced picture of welfare state attitudes to that provided by conventional research methods. 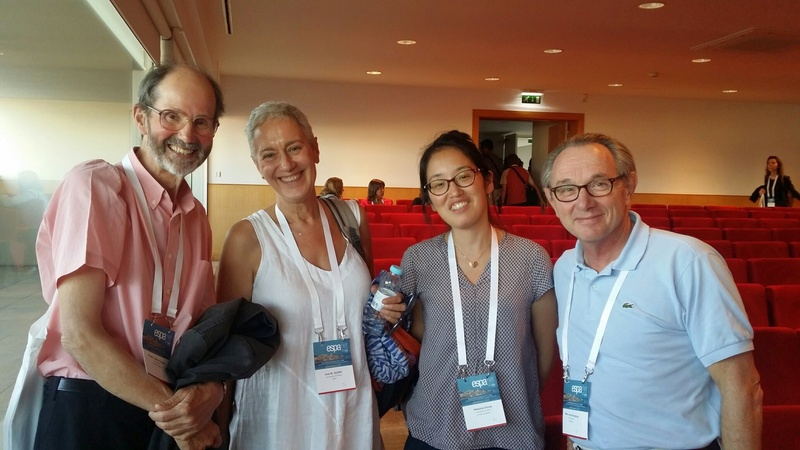 We also discussed our plans for articles, a special issue of Social Policy and Administration​, our papers for the ESPAnet conference in Lisbon in September and other activities. Warm thanks to Maša Filipovič Hrast and Tatjana Rakar for making the meeting such a success. 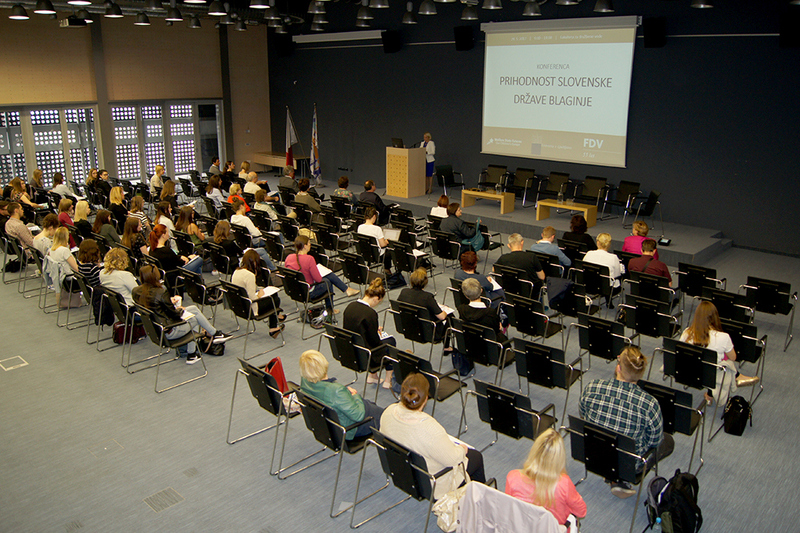 The Slovenian WelfSOC research team held a national conference “The future of the Slovenian welfare state” on 24th of May 2017 on the Faculty of Social Sciences, University of Ljubljana. 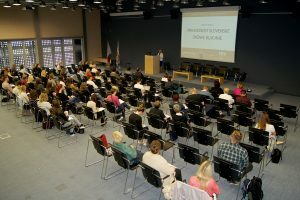 The goal of the conference was to disseminate key findings from the project on people’s attitudes toward the welfare state futures and stimulate a discussion on the main concerns of social policy such as inequality and poverty, challenges on the labour market and intergenerational solidarity in Slovenia. Conference began with an opening speech of the Slovenian Minister of Labour, Family, Social Affairs and Equal Opportunities Anja Kopač Mrak and the Dean of the Faculty of Social Sciences Rado Bohinc. 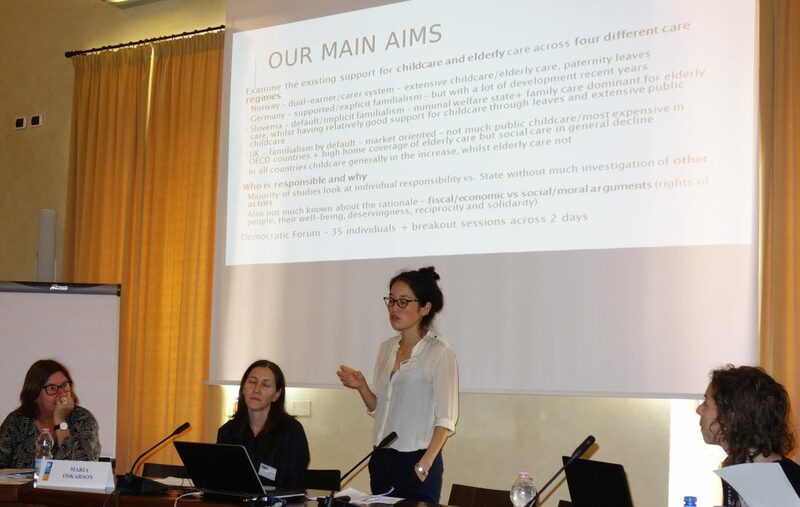 The main project findings were presented by project leader Maša Filipovič Hrast, which was followed by round table discussions on inequalities and poverty, intergenerational policies and labour market issues. Several known experts, representatives of civil society organisations and high government officials of the Ministry of Labour, Family, Social Affairs and Equal Opportunities and Ministry of Health joined the discussion. The conference was attended by academics, policy makers and general public. The abstracts of the conference presentations were collected and published in electronic format accessible in Slovenian language. The WelfSOC team attended a NORFACE Welfare State Futures workshop in Gothenburg on 22-24 February 2017. More information about this workshop is available on the official NORFACE WSF website – full programme available here. In his most recent opinion piece, Aditya Chakrabortty interviewed Professor Peter Taylor-Gooby about our WelfSOC project. You can read his article here. Welcome to the “Welfare State Futures: Our Children’s Europe” (WelfSOC) website. This innovative NORFACE-funded project explores the aspirations, assumptions and priorities that govern the ideas of ordinary people about the future development of welfare in Europe. Please explore our site and do not hesitate to contact us on Twitter, by e-mail or subscribe to the NORFACE Welfare State Futures newsletter. UK Five-year Spending Plan: Good News for the Old, Tax Credits and NHS Survive, but Local Government Hammered.